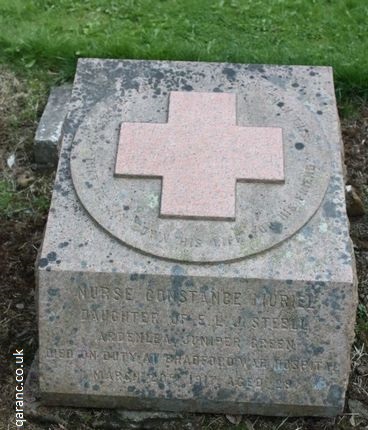 This photograph is the headstone of Nurse Constance Muriel Steell who died whilst serving at Bradford War Hospital during World War One. Greater love hath no man than this, to lay down his life for ones friends. More Memorials to Nurses and Doctors.